Americus tires are manufactured by the American Omni Trading (AOT) company, which, despite its name and U.S. flag themed logo, sources its tires from a company in Thailand called Deestone. We have not been able to find many opinions about these tires. We would also caution readers that AOT does NOT warranty the tires directly. The warranty is provided by Deestone, and the warranty claim process requires you to mail in pieces of the tire! You can find Americus tires at retailers such as Tire Kingdom and Merchant's Tire. These retailers may handle the warranty for you, but please get the warranty policy in writing from them when buying. Pictured below is the Americus Touring CUV tire (265/70R16 with a T-speed rating) mounted on a Toyota Tacoma. Since we haven't been able to find any meaningful reviews, we would instead recommend the General Grabber HTS60, which have a 4.8 rating (out of 5) and cost less than the leading Michelin LTX M/S2 tire. For example, in the 265/65R17 size, we found the LTX M/S2 for $183 a tire, vs. $145 for the HTS60. 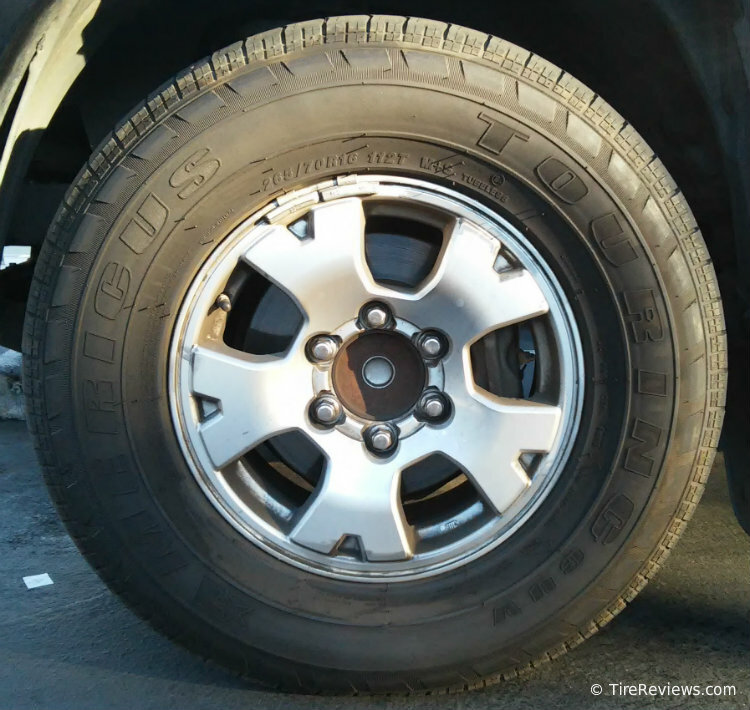 The Fuzion SUV tire in that size is only $116 and has a respectable 4.6 rating.